Gemma hosts Weekend Mailbox She finds some very strange and unusual mailboxes. Go take a look! This mailbox is our pool club mailbox. Totally unsexy, no? I'm still chuckling here! An unsexy mailbox! Hilarious! Love it! Don't forget you can post cars or letters, (or postmen!) in fact anything to do with mail! 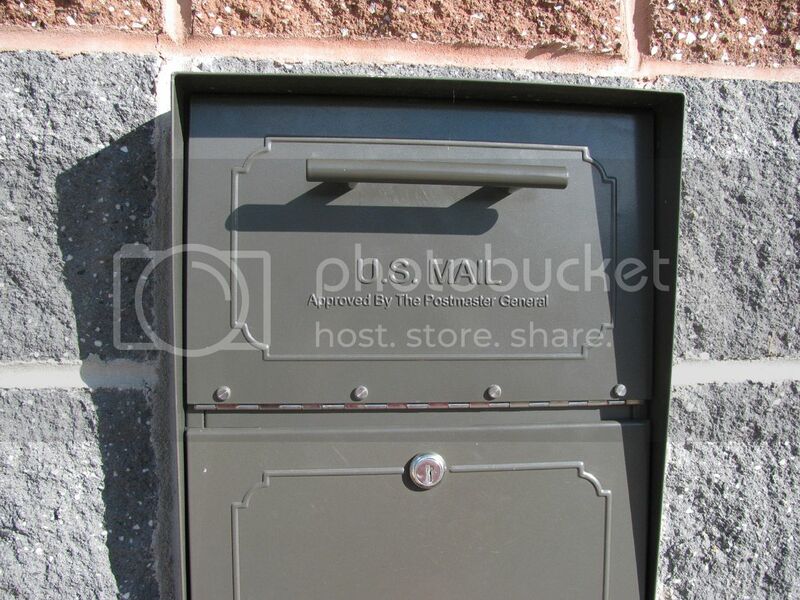 I just choose actual mailboxes because there are so many quirky ones here! Thanks for joining this weekend! Have a good one! It settles nicely in the brickwork though. At least you can say that it is the most boring mailbox I have ever seen !